Deviated septum is a medical condition in which the bone and the cartilage that is responsible for dividing the nasal cavity of the nostril is considerably skewed or warped giving breathing difficulty. Most people suffer from this sort of unevenness and face breathing problems because of narrow passage in one or the other side of the nostril. Studies have shown that almost 75% of people have some sort of uneven alignment to their nasal septum. However, only the people who have severe misalignment of the nasal septum require necessary treatment to help them overcome breathing issues. It may be by birth or may occur upon some accident or mishap. Is It Necessary To Consider A Surgery For Deviated Septum? Deviated septum sleep apnea is a condition which a lot of people have but unknowingly doesn’t become conscious about it. The nasal septum is made up of a thin wall structure of tissue that is responsible for separating both nostrils. If the nasal septum is not centered exactly in the middle of the nose then it is known to be deviated. 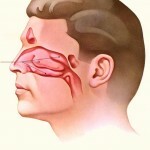 The surgery treatment for a deviated septum sleep apnea is expensive but usually is covered under an insurance policy. 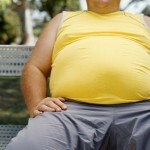 However, surgery risks still prevail and you have to be very careful while choosing the surgery treatment. Deviated septum and sleep apnea conditions could also occur as a person ages. Sleep apnea is a common problem in the elderly and more than 20% of the elderly complains of breathing difficulty at night due to sleep apnea. As you age, you start to lose muscle tone especially the airway and throat muscles. This relaxation of muscles obstructs the breathing passage and cause sleep apnea. Deviated septum is also considered to be more prone as a person gets old. Elderly usually develops serious anatomical irregularities within the nasal cavity. Hence, elderly becomes prone to higher risk of deviated septum as a result of sleep apnea. 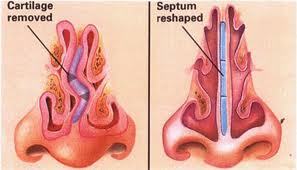 Deviated septum can also become a primary cause of sleep apnea. The blockage in the air passage due to uneven structure of the nasal cavity is the main problem creating breathing difficulty so you can say that sleep apnea and deviated septum are interlinked with each other. However, your doctor will be able to give you the best advice on how complicated is your deviated septum is and whether it can give relief in your sleep apnea problem. If doctor finds that your sleep apnea problem is coming up because of deviated septum than he can recommend a surgery that would help you treat both the problems at once. A word of caution that you shouldn’t try any self-meditation as it can only worsen the problem. Most surgical treatments for deviated septum aim to bring a relief in the sleep apnea problem. A sinus surgery is usually a measure to treat sleep apnea problem associated with deviated septum. 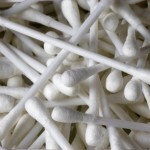 Nasal obstruction is a serious problem and you have to be very careful regarding it. Always seek assistance from a doctor, if you are facing breathing problems because of the deviated septum.